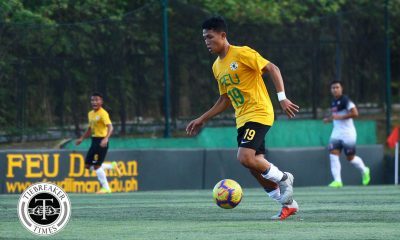 A national selection mostly composed of UAAP and Philippines Football League players took to the international stage last December 1 to 5 in Chinese Taipei to compete in the Chinese Taipei Football Association International Tournament. Davao Aguilas mentor Marlon Maro was the designated head coach, while the team was managed by the Mindanao club’s owner Jefferson Cheng. 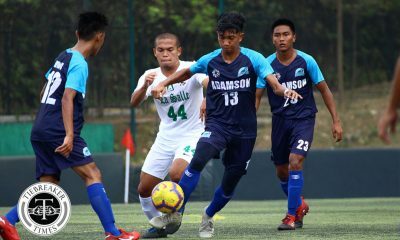 Stallion Laguna and Davao were the PFL clubs who released players for the team. 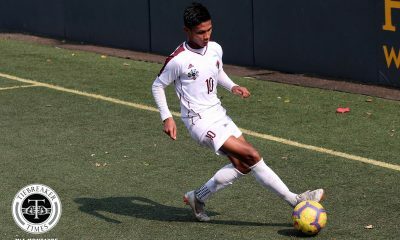 Laguna sent over Nathanael Alquiros, Fitch Arboleda, Ruben Doctora Jr., Yannick Tuason, and Reynald Villareal. On the other hand, the bulk of the team came from Davao. 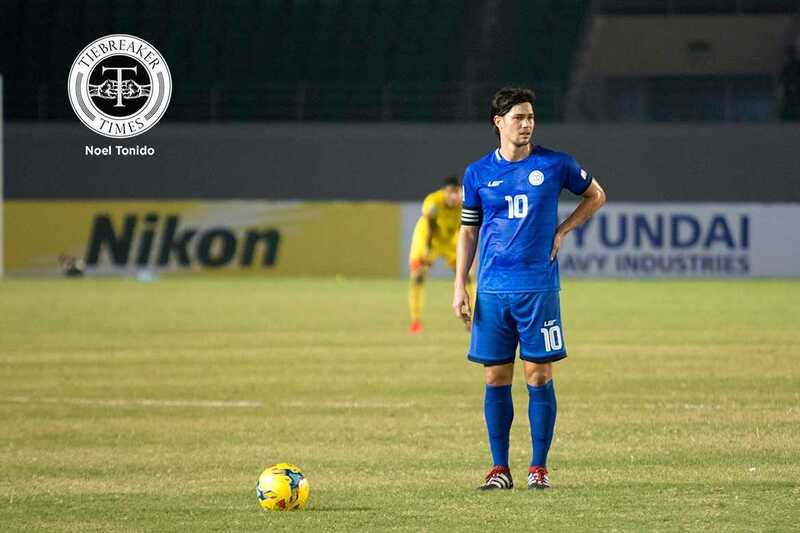 The Davao players were Junell Bautista, Jaime Cheng, Justin Cheng, Reymart Cubon, Dylan De Bruycker, Angel Guirado, James Hall, Nick O’Donnell, Simone Rota, James Younghusband, and Phil Younghusband. Current UAAP stars in the lineup include Julian Clarino, Christian Lapas, and Kintaro Miyagi of the University of the Philippines; Javier Gayoso of the Ateneo de Manila University; and Ray Joyel of the Far Eastern University. Kaya Makati’s Adam Tull and Thailand League 2 side Angthong United’s Mike Ott rounded up the members of Maro’s team. All games were held at the Municipal Stadium in Taipei. Maro’s men were off to a fine start to the competition last December 1 when they defeated Laos 3-1. Phil Younghusband took advantage of an assist from his brother James to open the scoring in the 35th minute. Come the second half, Guirado overpowered the opposition defense to double the Azkals’ edge, while Miyagi sealed the win afterwards late in the period. With the Philippines’ win all but clinched, Laos managed to score a consolation goal in stoppage time. Two days later came a rude awakening for the team. Up against host nation Chinese Taipei, the Philippines folded 0-3 after 90 minutes. Headers from forward Mao Li in the 38th and 62nd minutes powered Chinese Taipei to a commanding two-goal cushion against the Philippines. The Filipinos failed to retaliate and were left to succumb to another header, this time from Ting-Yang Chen, rounded up the 0-3 loss. The Filipinos’ last day in the competition was on December 5 against East Timor. The fixture was seen as an opportunity for the Filipinos to bounce back. Unfortunately, things didn’t go to plan. 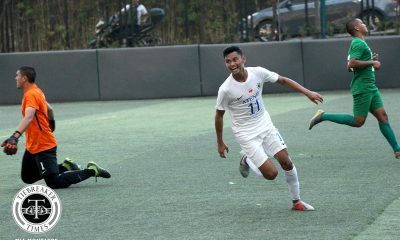 The Filipinos failed to score for the second straight game, and were left to concede a sucker punch late in the game when Da Silva Garcia Silverio Da Resurecio eluded the Philippines’ defense shot past Joyel for the game’s only goal. The Philippines ended up losing 0-1 to East Timor, in what was arguably its most embarrassing result in this competition. Ultimately, the team won one game and lost twice in this pocket tournament. It just goes to show that there is still so much to be done in order to beef up talent pools, whether for the main Azkals squad or youth teams.